Sundays in McCathran Hall at 7:00 p.m. A discussion will follow each film. Purchase the 5-film subscription series. Send a check for $20, payable to the Town of Washington Grove, to Birgit Henninger, Box 355. Tickets at the door will cost $7. Please support the series and save $3 per ticket by subscribing. If you miss a film, you can still use the ticket. Bring a guest to a subsequent film this season. Directed by Spike Lee, 1989, US, English, shown with English subtitles, 120 minutes. This movie brought Spike Lee to the forefront of American directors in 1989. The story of a dynamic Brooklyn neighborhood simmering with racial and ethnic tension, it raises issues as important today as they were 30 years ago. Strong language throughout. Directed by Victor Erice, 1973, Spain, Spanish with English subtitles, 98 minutes. A seven-year old girl in a village in Spain drifts into a fantasy world after watching the movie Frankenstein. It’s 1940; everyone around her is struggling with the aftermath of the country’s civil war. Critic Roger Ebert called this mysterious drama a masterpiece. Directed by Jean-Pierre and Luc Dardenne, 2014, Belgium, French with English subtitles, 95 minutes. Acclaimed French actress Marion Cotillard plays Sandra, a Belgian factory worker who must persuade her co-workers to forfeit their bonuses to save her own job. Tension builds with each encounter, and we root for compassion and Sandra’s success. On the harshly beautiful Kazakhstan steppe, Asa, a shepherd, must find a wife before he can have his own flock. He has his eye on the elusive Tulpan. The film chronicles the lives of yurt-dwelling nomads and their surprising connections to the larger world. Directed by David Lynch, 1999, US, English, shown with English subtitles, 112 minutes. A creaky Midwesterner undertakes a road trip on his lawn tractor to visit his estranged and ill brother. Richard Farnsworth is indelible as 73-year old Alvin Straight, whose real-life journey inspired this war and gentle movie. 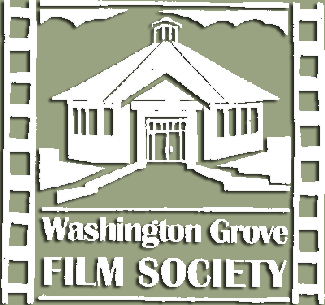 The Washington Grove Film Society purchases public performance rights from movie distributors for all of our screenings. The film series is supported by your subscription purchases and by the Town of Washington Grove Recreation Committee.